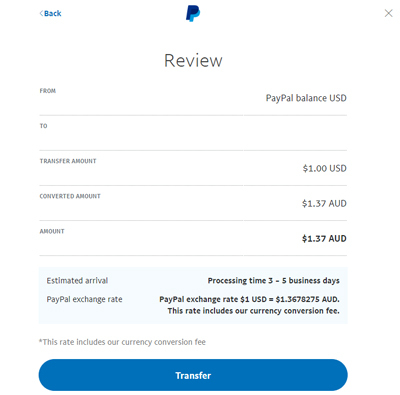 How can I Withdraw Money from my PayPal Account? While PayPal is great for accepting online payments and spending money at e-shops, you may be wanting physical money to use at the local supermarket. The great news is PayPal has a simple method for merchants and payees to withdraw money from their account. If you would like your PayPal money in your bank account so you can easily withdraw it at an ATM facility or need to pay bills, the following tutorial will help you. This is the most popular way to withdraw money from a PayPal account. This method involves withdrawing money from your PayPal account and transferring it to a linked bank account. When withdrawing money from a PayPal account to a bank account the money can take between 3 to 5 business days to clear. This will depend on when you withdraw the money (the weekend is not classed as business days), your rapport with PayPal and what bank you are with. Once a withdrawal request is made in a PayPal account it cannot be reversed. The money will be sent to the bank account. When talking in terms of withdrawing to a bank account, it cannot be withdrawn to either a credit or debit card. 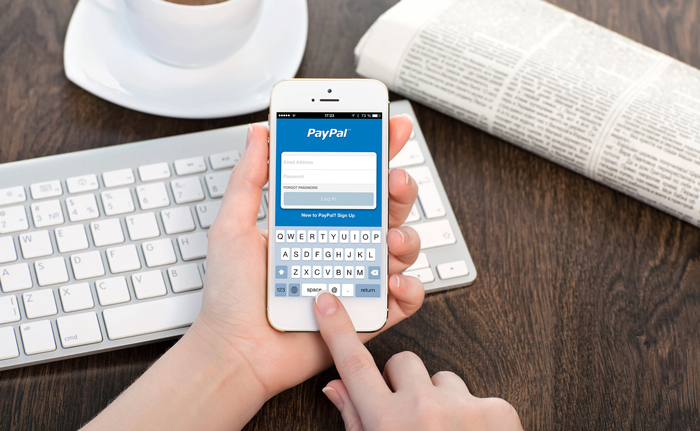 To withdraw money from PayPal to a bank account you will need to have your card details set up. Alternatively, you can send money to friends or family for free. Step 1) Login to your PayPal account. Step 2) Click on the Money menu within the top header. Step 3) Click the Transfer money button. 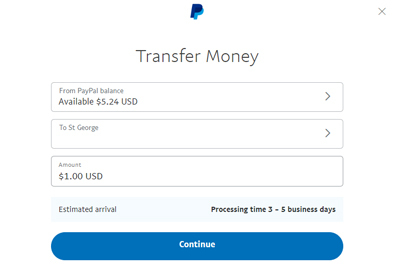 Step 4) Choose which of your PayPal Balances (if you have more than one) you wish to transfer From and which Bank Account you would like to transfer the money To. The bank accounts that you can transfer to will be your linked accounts. If you only have one linked bank account, only that one will appear. The more linked accounts you have, the more withdrawal options you will have. Step 5) Choose the amount you would like to transfer/withdraw. Step 6) Click the Continue button. Step 7) Read the Review and click Transfer. Step 8) The money will now be withdrawn from your PayPal account and sent to your Bank account. This action cannot be reversed. How Can I Add a New Bank Account to my PayPal? Step 2) Click on the Profile button and then on Profile and Settings. Step 3) Click on the Financial information tab. Step 4) Under the Banks section, click on the Link a New Bank Account button. Step 5) Choose whether it is a Cheque or Savings account and enter the required details. Step 6) Once you have filled in the required details, click the Agree and Link button to add the bank account. Step 7) You can now withdraw money from your PayPal balance and deposit it into this bank account. If you live in the United States, you can request a check as a means of withdrawing your PayPal balance. The check generally takes 1 to 2 weeks to arrive and can only be deposited at a bank if it is authorized by the person it is addressed to. Each check you require will cost $1.50 USD. Step 2) Click Transfer to your bank under your PayPal balance. Step 3) Click Request a check by mail instead. Step 4) Type the amount you wish to withdraw via check in the appropriate field.